Child mannequin with makeup, molded hair, base. 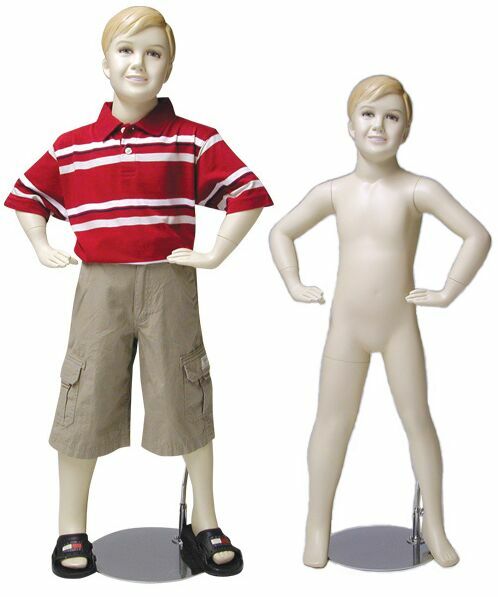 This mannequin is great for displaying children's clothing line, toys and much more. Detachable arms, hands and torso make them easy to dress. Dimensions: Height - 46"; Chest - 20.5"; Waist - 20"; Hip - 22". Color: fleshtone.